Despite the communications ministry's commitment to completing the migration of households to digital television by December 2018, there is still some reservation as to whether the country will meet this deadline. 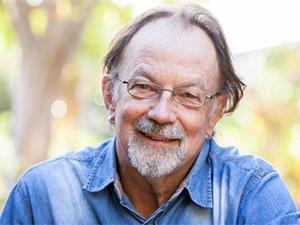 Charley Lewis, an independent consultant and member of the Save Our SABC coalition, believes 2018 is an overly optimistic deadline to complete the full switch from analogue to digital terrestrial television (DTT). "This divide between rich satellite digital TV households and poor analogue TV households is becoming increasingly entrenched. The ongoing delays in the digital migration may thus well lead to a new digital television apartheid, with the poor condemned to inferior DTT programming, while the rich cosily relax in the splendours of premium content courtesy of DStv," he states. SA missed the June 2015 deadline set by the International Telecommunication Union (ITU) for countries to switch. The ITU has called on nations to switch over to allow radio frequency spectrum to be freed up for mobile broadband services. 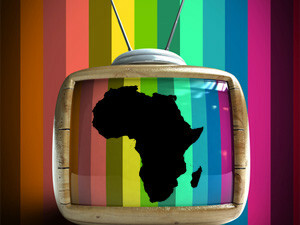 Although SA's digital migration project has started, the process has been bogged down by legal battles over the standards of set-top boxes (STBs), bribery and corruption allegations relating to the procurement process of government-subsidised decoders, as well as party politics over the amendments to the African National Congress broadcasting digital migration policy. Despite this, Dlodlo has committed to complete the migration process by December 2018. With next year's deadline in mind, her department effectively has less than18 months to complete the migration of more than five million households to DTT. The minister is of the view the migration project will move ahead and has reiterated her commitment to meet the deadline. "I have full appreciation of the impact the digital migration project is set to have on the economy of this country. I therefore have no intention to delay the process." After a lengthy legal process regarding the controls and encryption of STBs, the Constitutional Court ruled in favour of non-encryption for government-subsidised STBs. The decoders are required to convert digital broadcasting signals on analogue TV sets. Dlodlo has publicly reiterated her stance to use encrypted STBs for the country's digital migration, which is said to be in line with ANC policy. The industry is still waiting to hear the specific details of her stance. The communications department is determined to introduce digital TV to meet its December 2018 deadline. The Universal Service and Access Agency of SA (USAASA), which has been charged with the responsibility of managing the production and installation of STBs, has remained mum regarding the manufacturing of digital TV decoders. An investigation by National Treasury, commissioned by the communications department under the leadership of minister Faith Muthambi, found USAASA's tender process to procure subsidised decoders lacked integrity and was not one of value for money. In 2015, USAASA placed an order with manufacturers for the production of 1.5 million STBs. There has been no indication as to whether further orders have been placed to subsidise five million poor TV-owning households. According to the agency, 644 868 DTT decoders and 23 300 direct-to-home (DTH) STBs have been produced. In addition, 603 520 DTT antennae and 335 036 DTH dishes have been manufactured. Lewis points out the subsidised STBs are simply a short-term solution, designed to allow consumers to receive DTT without having to buy a new digital TV. "In the medium to long term, consumers will migrate to integrated digital TVs anyway, and the need for STBs to receive DTT will disappear." Since taking office in March, Dlodlo has been driving the digital migration process forward. Her department is working with the Free State government on the DTT roll-out, focusing on district municipalities such as Lejweleputswa, Matjhabeng, Nala, Tswelopele, Tokologo and Masolonya. Last month, the minister met with broadcasters and mobile operators to discuss the next step in the digital migration process. The basis of the meeting was to gather ideas from the industry on how it can contribute to fast-tracking the process. Representatives of SABC, Etv, MultiChoice, Cell C, MTN, Vodacom, Liquid Telecom, Telkom, StarSat and USAASA attended the meeting. According to the Government Communication and Information System (GCIS), all parties at the meeting pledged their full support to the minister and expressed a willingness to partner with government in taking the process forward, including providing any resources that may be required. "One of the key decisions made at that meeting is the formation of the digital migration advisory committee driven by both government and industry players. It was agreed the committee will develop a comprehensive project plan indicating timelines and resources required," says a statement. The GCIS also noted the ministry has since received names of members of the advisory committee from industry players. This team is set to meet soon to consider the project plan that will see the finalisation of the process. The South African Communications Forum (SACF) says it fully supports the minister's commitment to the rapid conclusion of the digital migration programme, as this will make the much-needed spectrum available. SACF MD Katharina Pillay says the spectrum constraints faced by members of the communications body continue to have a significant impact on the quality and pricing of services. Pillay explains: "The delays in digital migration have had a significant impact on the incumbents and the new entrants alike. The consequence of this is that spectrum is an essential resource to deliver communications services that are an essential enabler of economic growth. "It is essential that all relevant stakeholders acknowledge the importance of digital migration as evidenced by the minister's establishment of the digital advisory committee and support its urgent conclusion. The necessity of the high dividend spectrum for the country cannot be emphasised enough; more so as we are falling behind and need to catch-up with our national programmes and projects." While freeing up spectrum for broadband services has been identified as the key reason to pursue the broadcasting digital migration process, Lewis says content is king. In addition, consumers are key to any successful migration to DTT, he states. "Lots of high-quality content is needed to entice consumers to go out and acquire STBs or digital TVs. Sadly, the warfare over encryption has seen content side-lined in the process. There seems to have been little or no funding set aside to stimulate the production of the kind of high-quality local content needed to entice viewers over to DTT. "And let's not forget the possible role that a resuscitated SABC, rescued from the hands of clowns and bullies, and returned to its rightful role as a public service broadcaster, has to play, in providing high-quality content in the broad interests of the entire South Africa viewing public," Lewis concludes.